Degree in Journalism from the Autonoma University of Barcelona (UAB), Diploma in Semiotics from the University of Urbino (Italy), and PhD in Information Sciences from the Autonoma University of Barcelona. He is professor of Media Policy at the Faculty of Communication Studies at the Autonoma University of Barcelona. He has held various academic positions, including Dean of the Faculty, Vice Dean for Research, Deputy Director of the department of Journalism, coordination of the Bachelor of Journalism and Director of the Communication Library. He is the honorary president of the Spanish Conference of Deans of Communication Studies. He is a research specialist in geopolitics and communication and media policy. He has been a visiting scholar at the UNESCO (Paris), at CETS (Paris), at CIESPAL (Quito), at the CNET (Paris), at CSCC (London), at the Council of Europe (Strasbourg) and at the European Union headquarters (Brussels) and at the CICOM (University of Puerto Rico). He teaches ‘Media systems’ and ‘Media Policy). 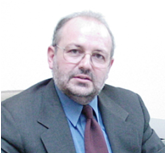 He has been a visiting professors at several Spanish university as well as in Europe and Latin America. He is a member of various scientific committees, relevant at national and international level, devoted to the assessment of research and teaching (Spain, Portugal and Puerto Rico). He is the academic editor of the Communication books at Bosch (Barcelona) and at Comunicación Social (Sevilla – Zamora).